Day 05 (Thu) Morning tour to Ephesus area with Artemis Temple, Ephesus Antique City (Hillside Houses are excluded; entrance requires additional admission fee), one of the most popular ancient sites of Turkey with many acres of carefully excavated ruins; Virgin Mary’s House, where St. Mary is supposed to spend her last years together with St. John. Selcuk Ephesus Museum. Time for shopping. 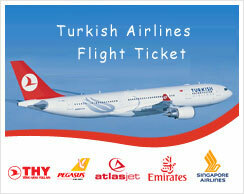 Transfer to Kusadasi or Izmir airport. End of our services (B, L).